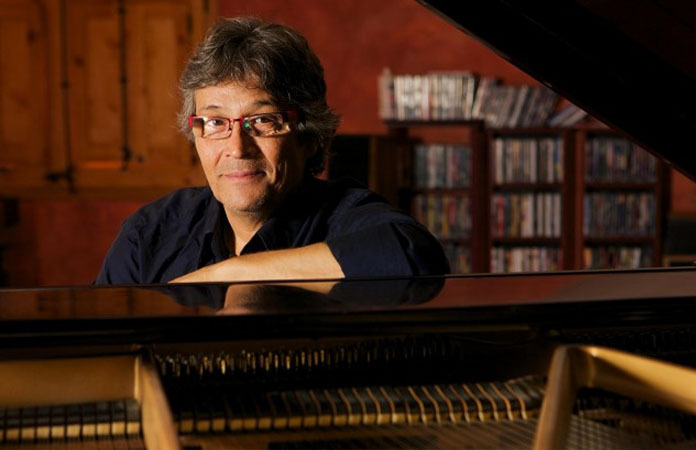 For over four decades, the Award-winning , Spanish-born pianist, composer, bandleader, educator Chano Domínguez has synthesized the blues-based, African-American improvisations of jazz with the dynamic, duende-flavored, Afro-Gitano/Moorish inventions and dimensions of flamenco into a profound and personal artistic expression than combines the best of those musical worlds. Chano Domínguez is one of the most celebrated of jazz pianists and composers. 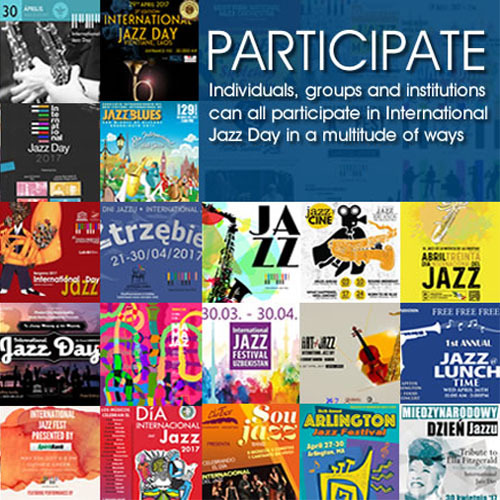 He has achieved an unusual integration between the rhythms and languages of jazz and flamenco, creating a unique style that places him among the top musicians practicing this artform. Internationally acclaimed, he has influenced and changed the history of flamenco-jazz. His interpretive talents are highly sought after for his authentic integration of both jazz and flamenco traditions, working with an extensive range of colleagues such as Paco de Lucía, Enrique Morente, Jorge Pardo, Carles Benavent, Martirio, Paquito d’Rivera, Wynton Marsalis, Jack DeJohnette, Herbie Hancock, Jerry González, Gonzalo Rubalcaba, Michel Camilo, Chucho Valdés, Joe Lovano, and George Mraz, among others. With over twenty recordings as a leader, Chano Domínguez has extended, elaborated and redefined the artistic boundaries of jazz and flamenco, performing his own compositions, as well as the music of Harold Arlen, Thelonious Monk, Miles Davis, and the Spanish classical composer, Joaquin Rodrigo. Born Sebastian Domínguez Lozano on March 26, 1960 in Cádiz, Andalusia (southern Spain), the birthplace of flamenco, Domínguez’s first instrument was the guitar, which he started playing at the age of eight. He listened to his father’s extensive recordings of flamenco LPs, and taught himself the rudiments of the instrument and the genre. He later took up the piano, and his first major gig was with the Spanish rock group, CAI (a slang word for a native of Cádiz) where he played keyboards. They recorded three LPs from 1978 to 1980, Mas Allá de Nuestras Mentes Diminutas, Noche Abierta and Canción de Primavera for the Columbia label. His interest in jazz came from listening to the influential fusion bands, Weather Report, Return to Forever, and the Mahavishnu Orchestra, and he also studied other jazz greats including Bill Evans, Thelonious Monk, Chick Corea, and Herbie Hancock. But it was the legendary guitarist Paco de Lucia’s trailblazing, jazz-based improvisations that served as an inspiration for Domínguez. After CAI broke up in the early 1980’s, Domínguez joined the local, Cádiz-based jazz ensemble, Hixcadix. All through that fertile period, Domínguez was fusing jazz and flamenco musical genres, from bulería to soleá to straight-ahead swing and ballads. In 1992, he formed his first jazz trio, and won First Prize in the National Jazz Competition for Young Performers that same year, and released his first recording as a leader, Chano, in 1993, followed by Diez de Paco. From there, Domínguez recorded a number of impressive projects, including Coplas de Madruga, with the Spanish flamenco singer Martirio. He released a number of important recordings, mostly for the New York-based Sunnyside label including, Hecho a Mano, Directo a Piano Solo, Iman, Flamenco Sketches, his 2011 tribute to Miles Davis’ Kind of Blue and Bendito, with singer Blas Córdoba, aka “El Kejío” (which was nominated for a Latin Grammy Award for Best Flamenco Album in 2015). His 2017 CD, Over The Rainbow, is a live date, recorded in Barcelona in 2012, featuring compositions by John Lewis, Eliseo Grenet and the Chilean and Argentinean folk singers Violeta Parra and Atahualpa Yupanqui. In Dominguez’s hands, the spectral, percussive guitar strains, hand claps, castanets, foot-stomps, and the impassioned cries of Ole are seamlessly transmuted across the pianos eighty-eight keys as fluidly as a flamenco dancer glides across the stage, where Beale Street meets Barcelona. In 2000, Domínguez performed on Siegfried Loch’s Jazzpaña II, a jazz-meets-Flamenco recording that also featured guitarist Gerardo Núñez, saxophonist Michael Brecker and bassist Carlos Benavent, and he also performed in Cuba at the Havana Jazz Festival. But his greatest exposure came courtesy of his impassioned performance of his original composition, “Oye Como Viene,” in the Fernando Trueba’s Grammy Award-winning Latin jazz documentary, Calle 54, which also featured Eliane Elias, Jerry González and the Fort Apache Band and Tito Puente. Five years later, Chano Domínguez recorded Cuentos del Mundo, which featured sixteen stories, narrated by the Spanish actor Constantino Romero. In 2006, Domínguez performed with Cuban saxophonist Paquito D’Rivera at the Teatro Real in Madrid, which was recorded as a DVD/CD, entitled Quartier Latin in 2009. In 2010, Domínguez served as the musical director for the film, Flamenco Hoy by Carlos Saura. Alternating between Spain and New York, Domínguez also enjoys an equally impressive career as an educator, and has taught in a number a workshops, master classes and residences at Barcelona’s Taller de Músics, Julliard, the University of Washington’s School of Music, and the Music Conservatory of Bogotá (Colombia). Although his trio, with bassist Horacio Fumero and drummer David Xirgu is his preferred mode of expression, Domínguez distills his flamenco jazz in a myriad of musical contexts. He occasionally performs as a solo pianist, and he currently plays in three duets: one with the exceptional bassist Javier Colina – and association that dates back twenty years, another duo with flutist Hadar Noigber, and another twosome with pianist Steffano Bolani. Domínguez’ s Flamenco Quartet performs the classic compositions of Manuel de Falla, Isaac Albéniz, Enrique Granados, and Federico Mompou, with percussionist Pablo Domínguez and singer Blas Córdoba and dancer Daniel Navarro. His New York Flamenco Quintet includes vocalist Ismael Fernández, dancer Sonia Olia, bassist Alexis Cuadrado and José Moreno on percussion. His latest group, the Spanish Brass Quintet, debuted at the Spanish Brass Alzura Festival in July, 2017. Chano Domínguez is currently living in New York. His new album, Chano & Colina (Sunnyside Records) will be released next June 2018. With his brilliant reimagining of jazz and flamenco, Chano Domínguez continues to create timeless art that knows no bounds.